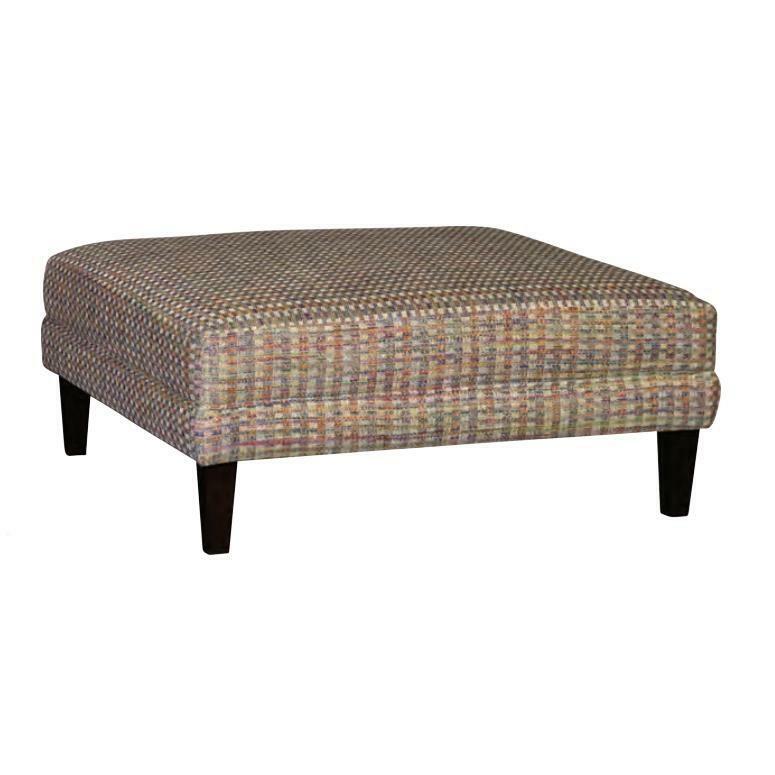 The table ottoman by Mayo Furniture features a square top, tapered wooden legs in a walnut finish and it is covered by "Madras Prism" fabric. This piece is a perfect choice for any home decor. 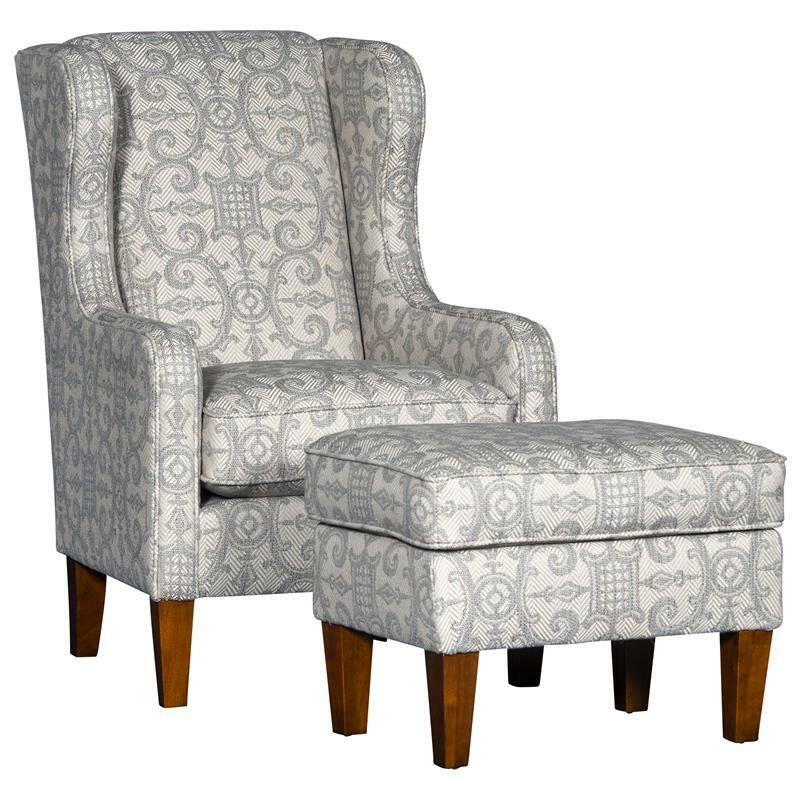 This chair by Mayo Furniture features elegant track arms and a beautiful "Thedora Linen" finish.